Find your new home in Renaissance Manalapan, an active adult community. Renaissance Manalapan is a gated, Active Adult community for those who are 55 and older. Calton Homes built 127 homes in 2000-2001. 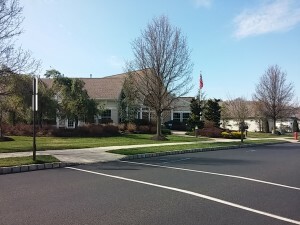 Renaissance Manalapan is located west of Route 9 at the intersection of Craig Rd. 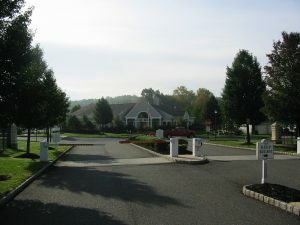 Due to it’s location in Manalapan, it’s close to transportation, shopping, fine dining and of course, The Jersey Shore. 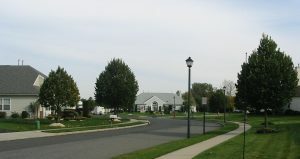 The homes in Renaissance Manalapan are detached single family homes. Richly appointed with 9′ ceilings, the homes have either 2 or 3 bedrooms, along with 2 or 3 baths. All of these upscale homes also have a two car garage. Also, some of the homes have a basement and/or a loft. Four basic models were offered, and the homes have approximately 2,000 or more sq ft. The monthly maintenance fee includes common area maintenance, lawn care, snow removal and trash removal. Get rid of your lawn mower and snowblower, because someone else cuts the grass and shovels the snow. Also, your pets are welcome in Renaissance. At the heart of the community is the clubhouse. When the weather is warm, swim in the outdoor pool or enjoy playing bocce with your neighbors.. The clubhouse also contains a fitness center for those who desire to exercise and stay in shape. Or meet with your new friends in the multi-purpose room. While Renaissance doesn’t have a golf course, there are many golf courses in Monmouth County. There are also card rooms, billiards and a ballroom for social events. Additionally, many clubs and activities are available at Renaissance Manalapan. Monmouth County offers transportation services to all Adult Communities in Monmouth County. There is a medical transport bus. This bus will take people to any doctor’s office or any medical facility in Monmouth County. The return trip is also supplied. You must schedule these trips in advance, however, there is a minimal charge for this service. Shopping bus service from each community to supermarkets, local shopping centers and malls is also supplied.